Newcomer Family Obituaries - Garland Dean Smith 1950 - 2019 - Newcomer Cremations, Funerals & Receptions. 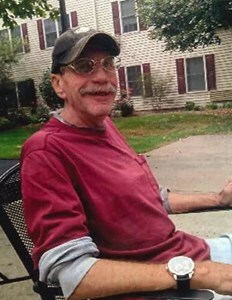 Garland Dean Smith, age 68 of Fairborn, passed away February 7, 2019. He was born October 16, 1950 to the late Dorsey and Tilda Smith. Garland is survived by his children: Kerry Smith and Jeremy Smith (Melissa Rhoades); grandchildren: Gavin Smith, Dylan Jackson and Sky Smith; sisters: Joyce Smith and Doris Doepel; many other relatives and friends. Garland was a veteran of the U.S. Marine Corps. He retired from Meijers in West Carrollton after many years of service. Garland was an avid sports fan, who loved the Cleveland Browns. A graveside service will be held at 1:00 pm on Wednesday, February 13, 2019 at Dayton National Cemetery, 4400 West Third Street. Arrangements entrusted to Newcomer North Chapel, 4104 Needmore Road. To share a memory of Garland or leave a special message for his family, please click on the Share Memories button above. Add your memories to the guest book of Garland Smith. Joyce and family, I am so sorry to hear your sad news. My thoughts and sympathies go out to you all. I met garland in 1985, thru stevie deer & his family. I always liked garland and thought he was very nice, kind & funny. R.i.p. garland, and God bless your family. I have too many memories to list them all. Garland and I were engaged to be married in 1976. It didnt turn out with marriage but we stayed in touch for many years. He was a great man. He loved our family and we loved his. My favorite memory of him was just being with him anywhere. He was so sweet. I truly loved him and always will. R.I.P. my sweet Garland.